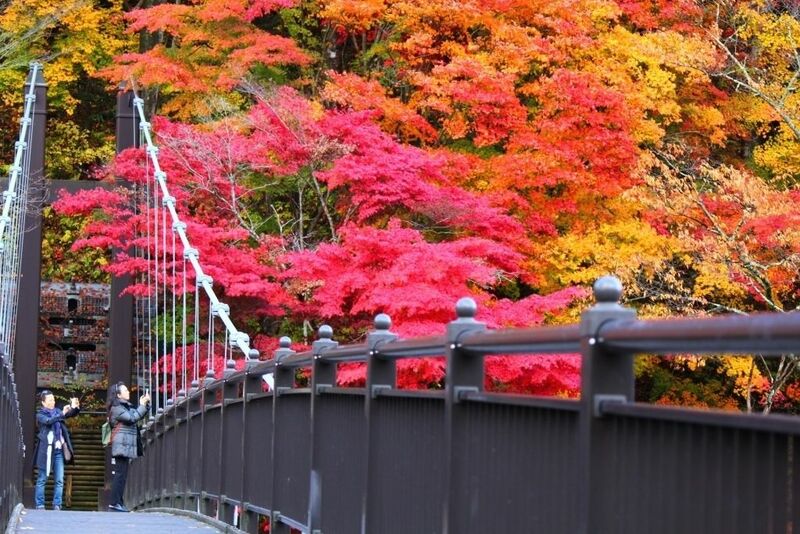 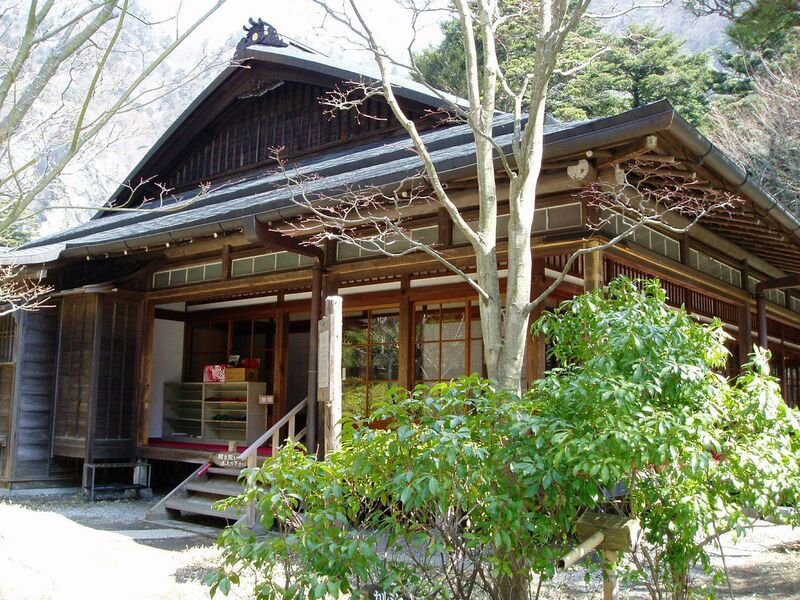 Sukkan-sawa is located at Shiobara district of Nasushiobara city. 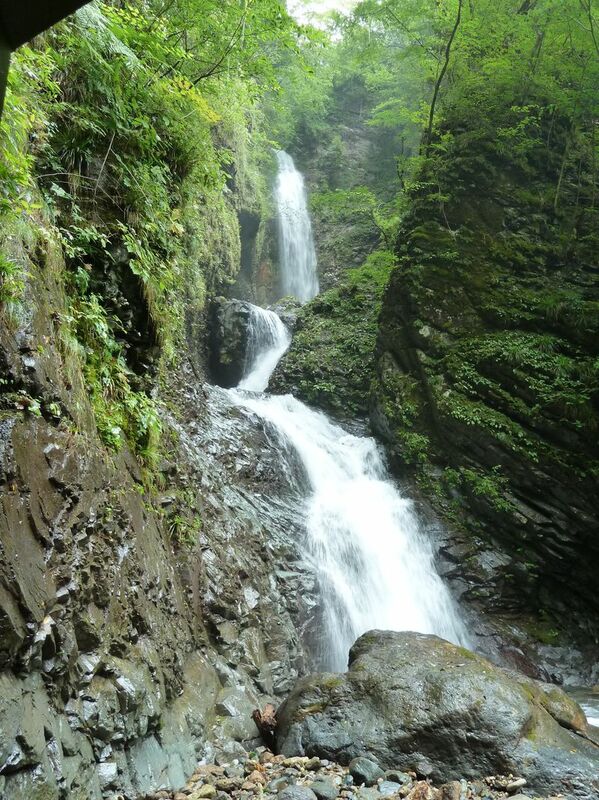 You can get there only on foot from 'Parking for Promenade of Yuhi Waterfall Line' along Prefectural Route 56. 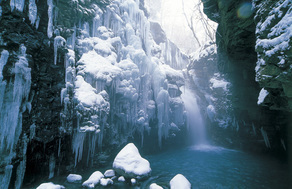 The first waterfall of Sukkan-sawa gorge is "Soren no Taki", the second one is "Nisaburo no Taki". 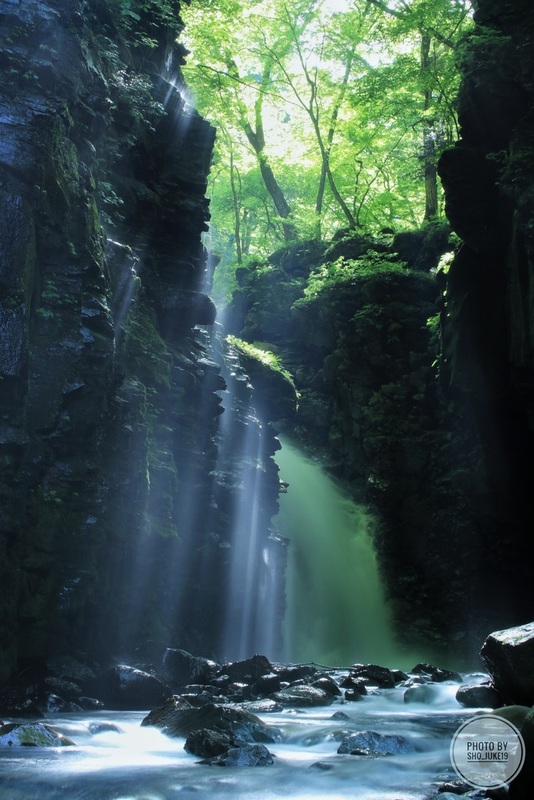 There are many waterfalls that can be spotted and the last one is 'Yuhi no Taki'. 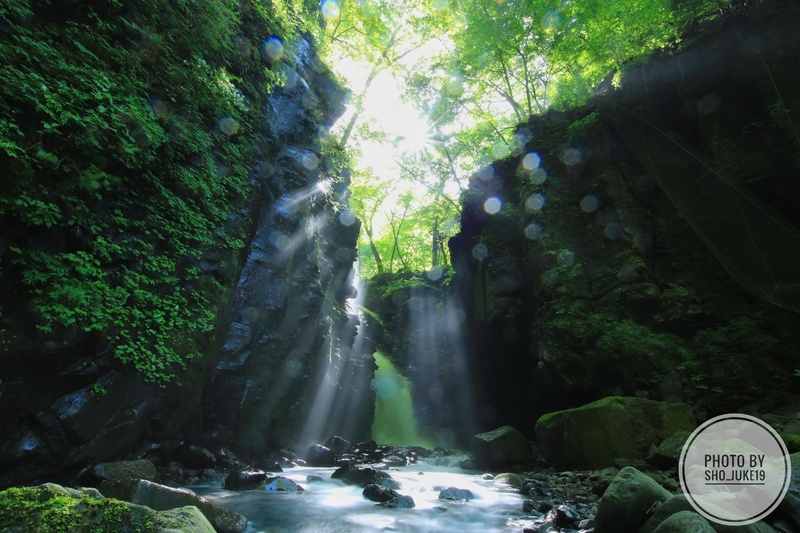 In Sukkan-sawa, the water flowing from the caldera of Mt. 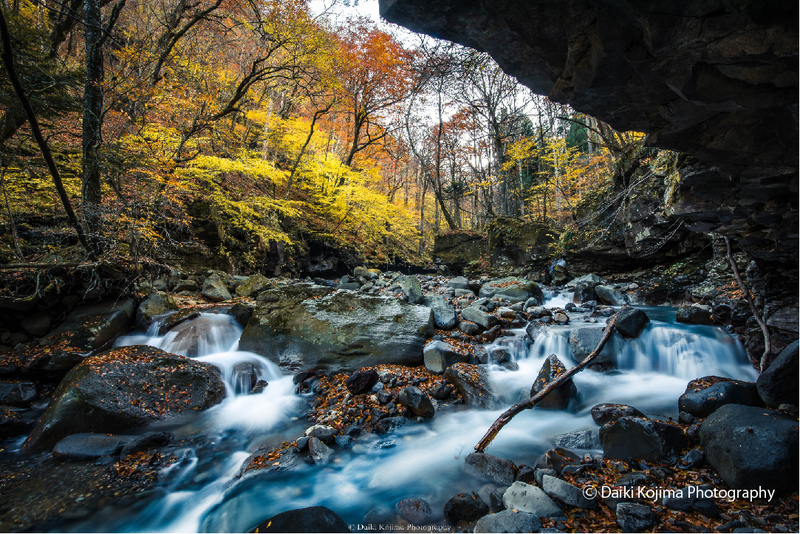 Takahara, which contains the minerals and carbonate components of the volcano and reflects vivid blue colours by reflection of the sunlight. 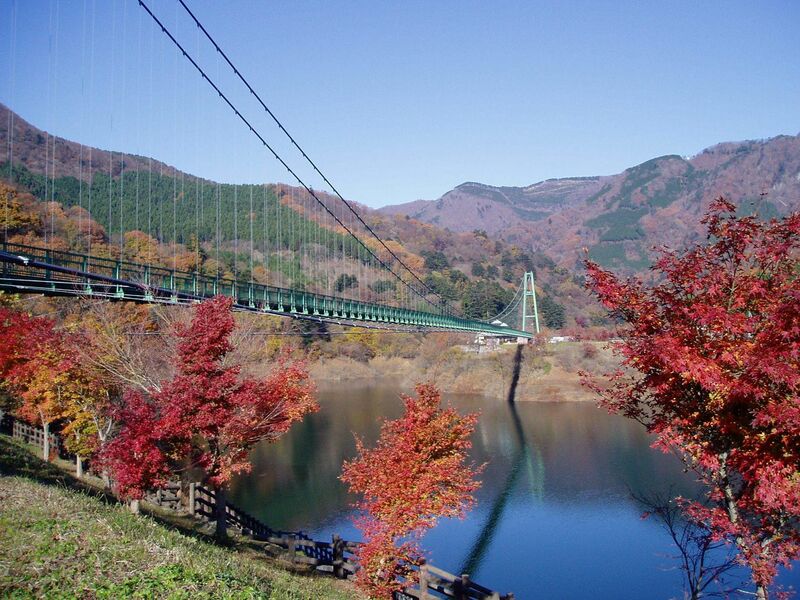 Please come and have a look "Sukkan Blue" with your own eyes.